ENTEKHABAT 93 Episode 1 – August 17, 2013 | . :: Elections 2014 ::. With 230 days left until election day on April 5, 2014, preparation is already in full-swing. 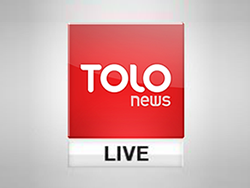 TOLOnews has taken the lead to launch an election show – ENTEKHABAT 93 – to generate debate and discuss the challenges facing the election process. In the first episode, host Mujahid Kakar starts the conversation with a leading politician Anwarul Haq Ahadi, who serves as the Minister of Commerce in the current government. The discussion is joined by former Electoral Complaints Commission member Zia Rafat and MP Jafar Mahdawi.